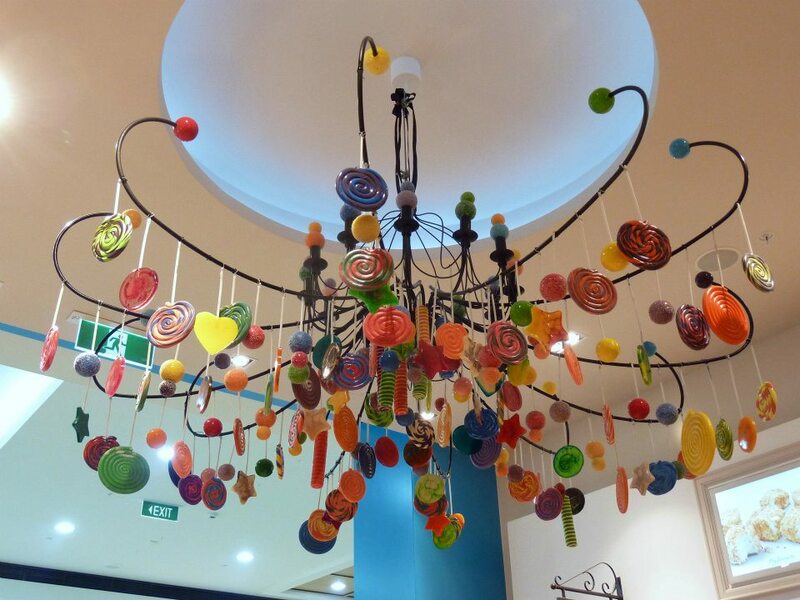 Perth is turning itself into quite the chocolate coated city these days. 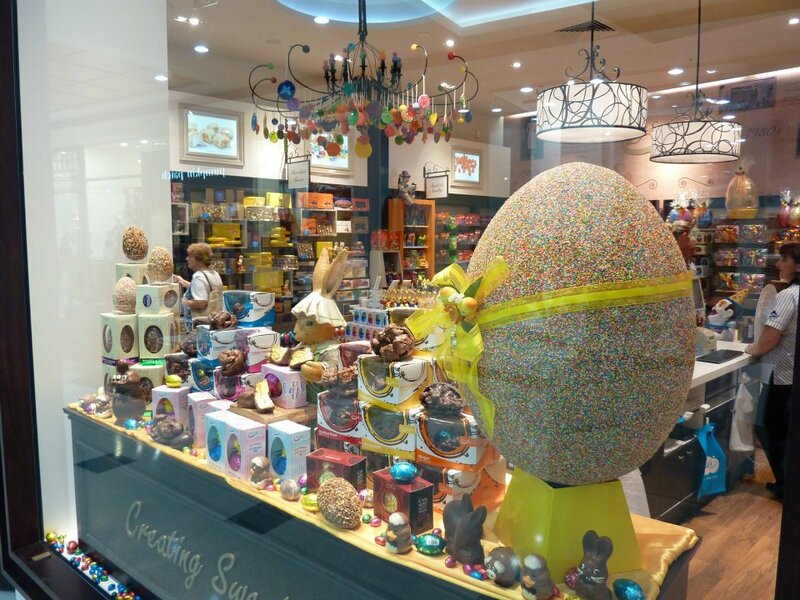 We’ve had Koko Black set up shop at Claremont Quarter last year and the Margaret River Chocolate Factory opened a new store in the CBD….. but there’s been one chocolatier whose managed to make their mark on the chocolate landscape of Australia since 1927. Enter Darrell Lea. 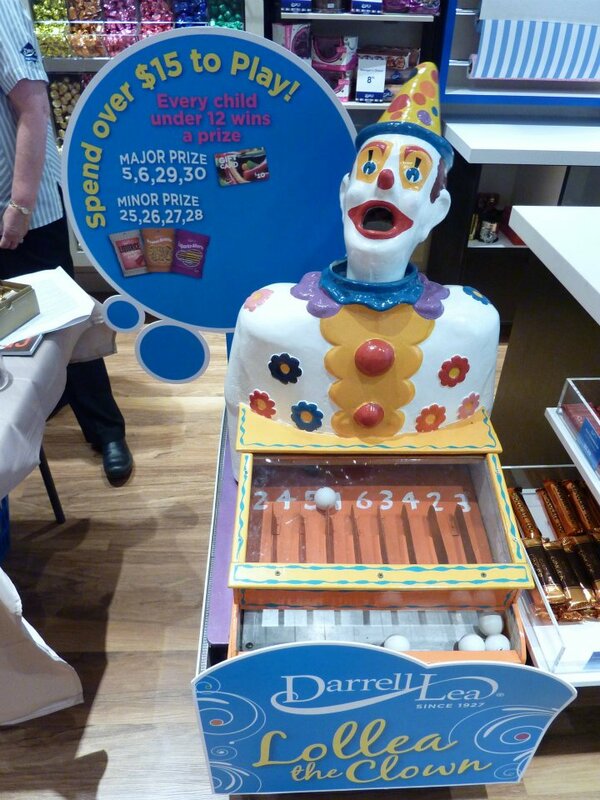 I’ll be the first to admit that I’ve always been partial to a few of Darrell Lea’s wares…. The soft eating liquorice for one, the super cute bo peep sweets and let’s face it the chocolate’s not bad either 🙂 So when I received an email asking if I would like to attend a tasting at the new Darrel Lea concept store at Garden City I was more than a little excited by the prospect. So I sent through a reply email and soon enough I found myself taking what I considered to be an early lunch break and headed along to Garden City (which is conveniently just up the road from work). The Darrell Lea store I have visited most often is the one at Centro in Morley. It’s a nice store and has quite the old school feel with the dark wood panelling throughout. The new store had definitely had quite the modern overhaul. The display windows were well lit and fully glass paned and then you once walked inside it was quite the rainbow of brightness they had employed. 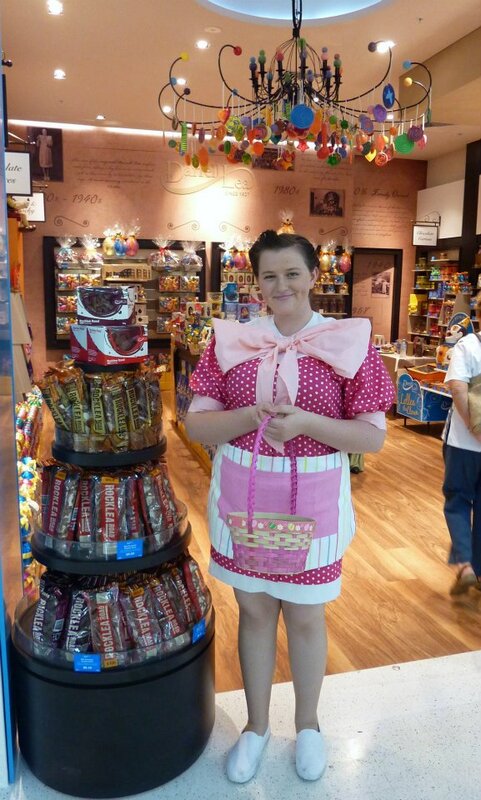 My first hello came from the friendly young lady at the door who was handing out chocolate samples – always popular and who I later found out was sporting the original Darrell Lea uniform, complete with very impressive giant bow and matching smock. I firstly said hello to Jennifer from PPR and she then introduced me to Jason, the WA business development manager for Darrell Lea. Then soon to join our group was Alison from Cravings Magazine. Jason talked us through the key changes that had been made to the new look store. 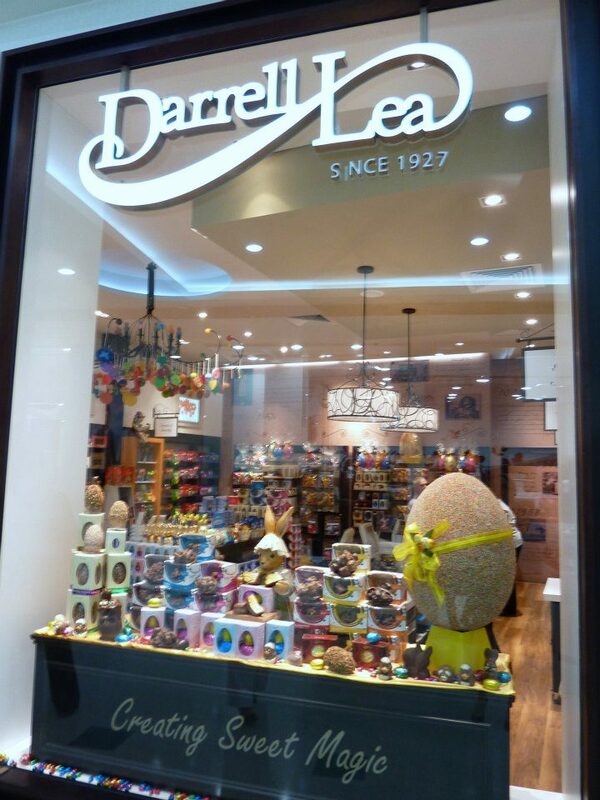 One of their key objectives was to give Darrell Lea a modern facelift, while still paying respect to their heritage. So as much as an influx of new colour has been incorporated, up along the back wall are some more historical images of Darrel Lea, which I think it important to recognise. If a company has managed to stick around since the 1920’s, they are clearly doing something right! 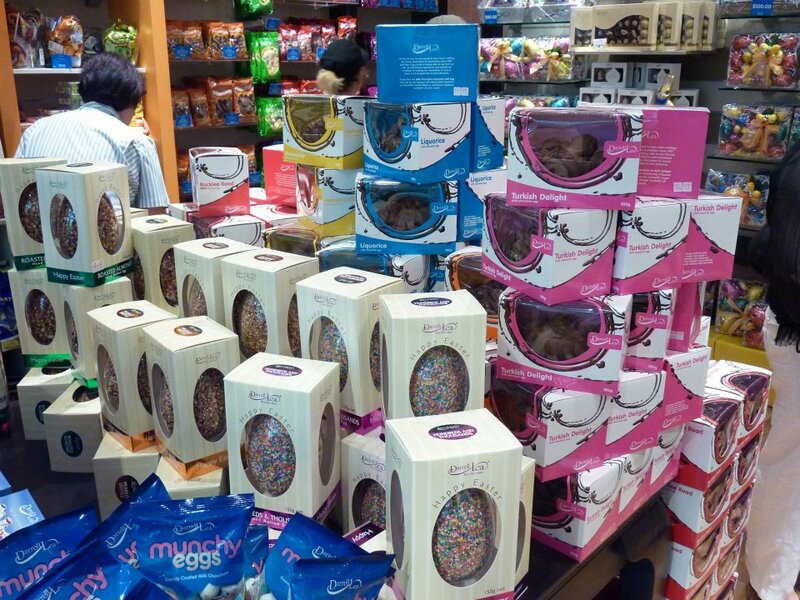 Seeing as though we were on the downhill slide to Easter, the store was adorned with plenty of Easter Bunnies and just eggs galore! 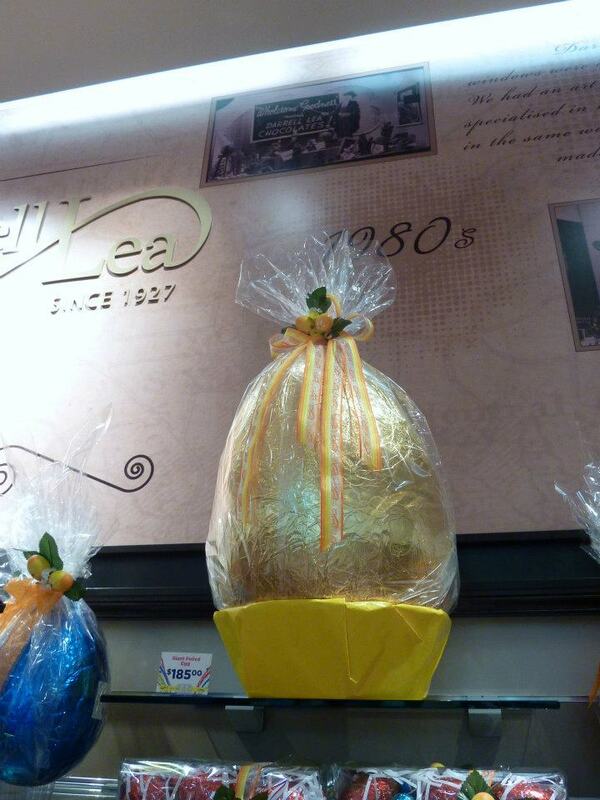 Sizes ranged from super cute chocolate bunny lollypops to the more ambitious 3.5kg Golden Egg. 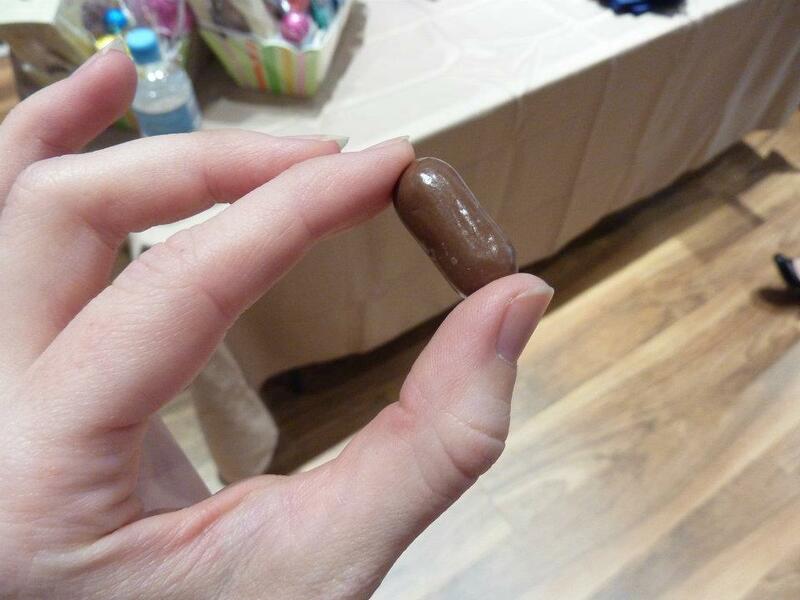 Now I’m a big chocolate fan, don’t get me wrong, but even I was wondering who was buying eggs this size?? So the question was asked and we were told that on many occasions that families who have larger Easter celebrations would buy one to be shared among the children, which I thought was a nice idea. Or sometimes churches buy them to be shared among parishioners on Easter Sunday morning. So there is a market for these gigantic chocolate treats as I found out. 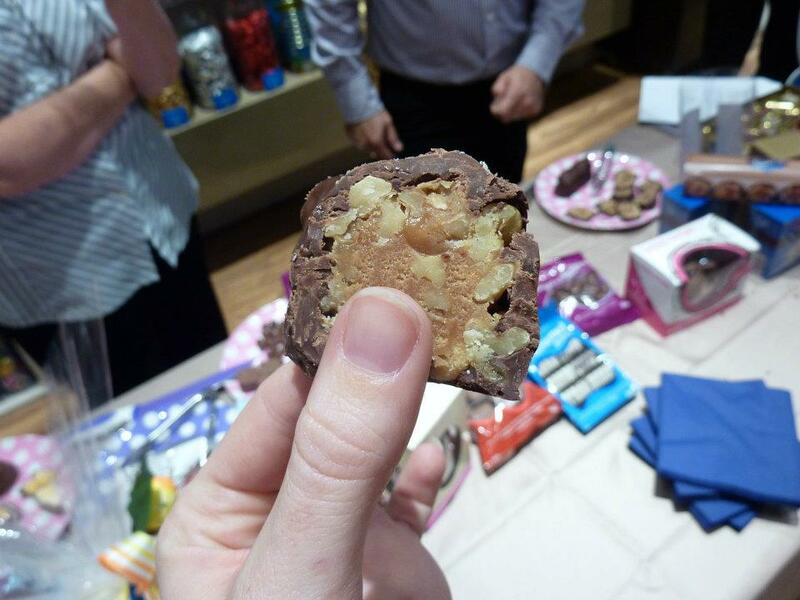 So after our tour around the store, it was time for some taste testing, which I was pretty darn excited about. 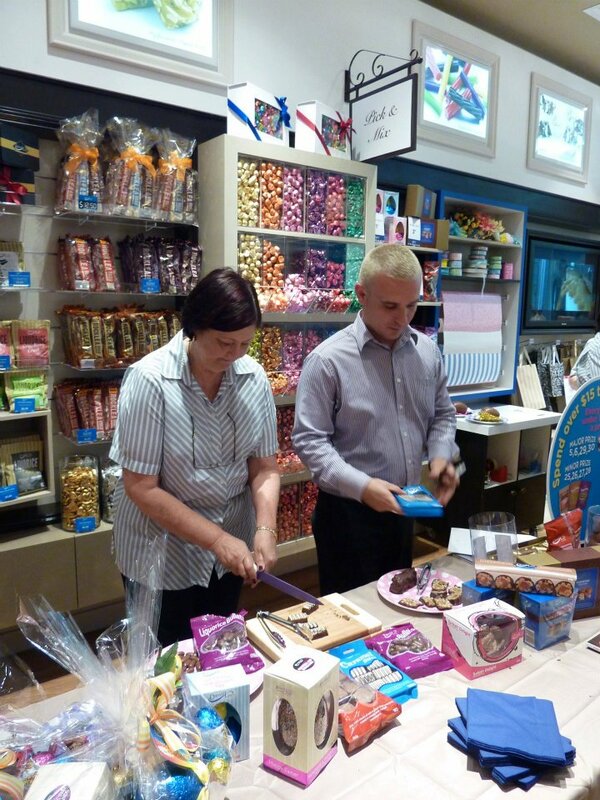 The Garden City store manager, Karen, joined us as we were about to embark on her top 10 store items. Once I heard that I was slightly more daunted by the task ahead…. 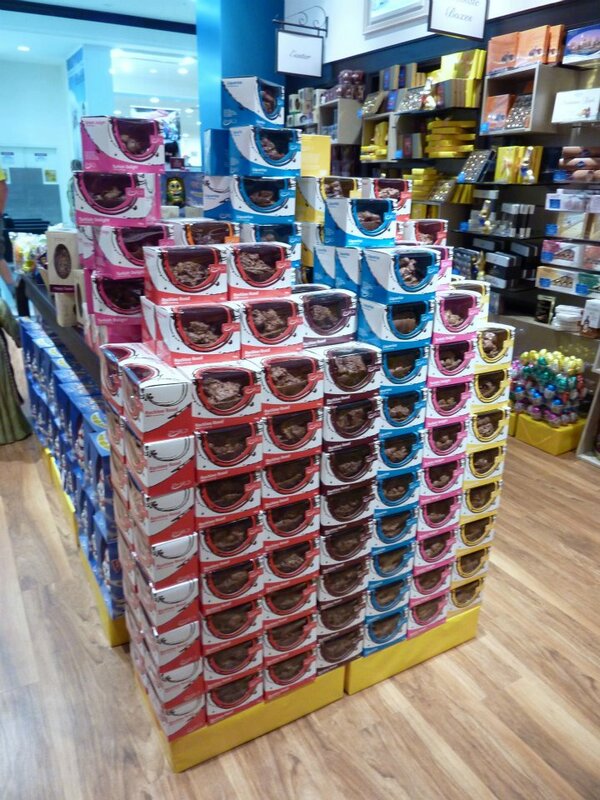 That’s a fair bit of chocolate! 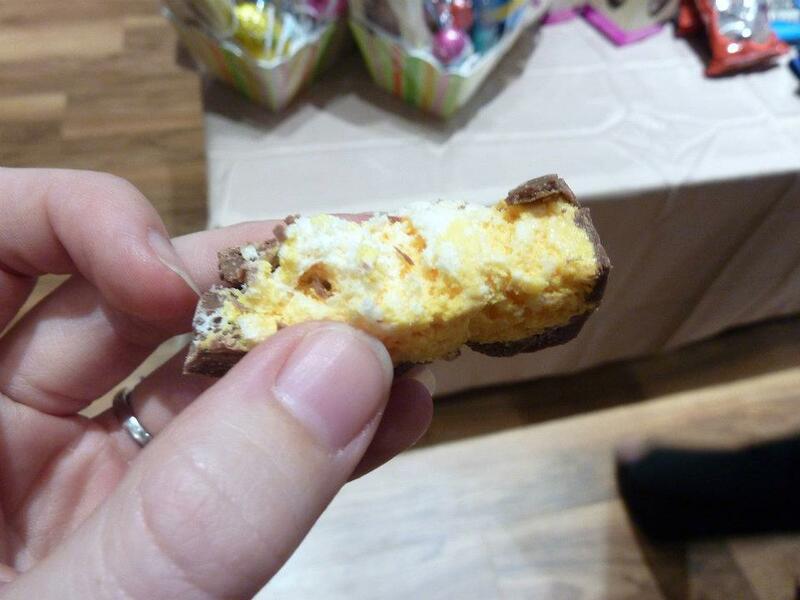 The number one was a Darrell Lea classic, which they have been making with the same recipe since 1930 – the ever popular Fluffy Nougat Egg. I hadn’t tried it before but it did look intriguing with its very ‘eggy’ looking white and yellow nougat centre. My initial concern has been that it was going to be incredibly sweet, but pleasingly it really wasn’t. Very tasty combination! From here we were presented with a very impressive array in the Assorted Chocolate Selection box. Jason let us know that much like other tastings it was best to ease the taste buds in and start with milk chocolate, so we both went for the milk chocolate coated honey nougat. It had such a strong honey flavour and was another bite of yum. Up next was the Hand Rolled 100s and 1000s Egg. 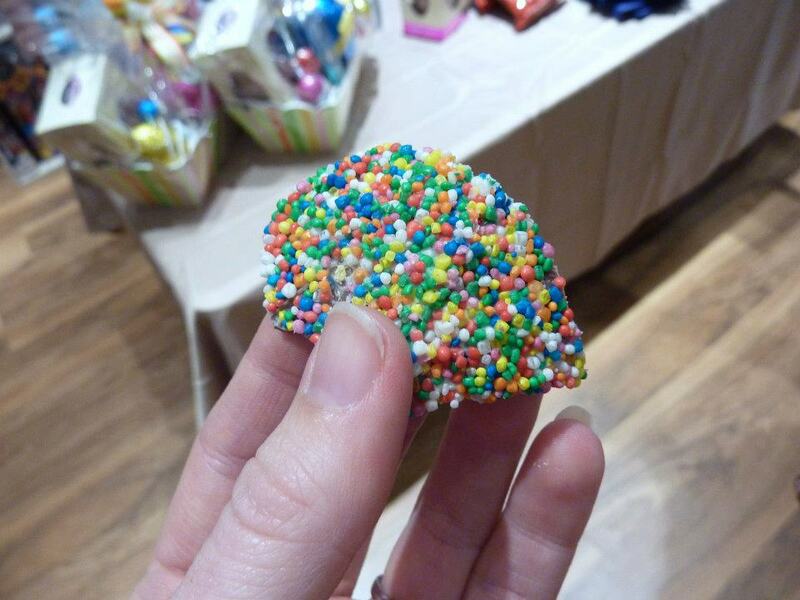 This is a milk chocolate, which has then been coated in a layer of white chocolate and is then hand rolled in all those coloured dots – all that loving attention! 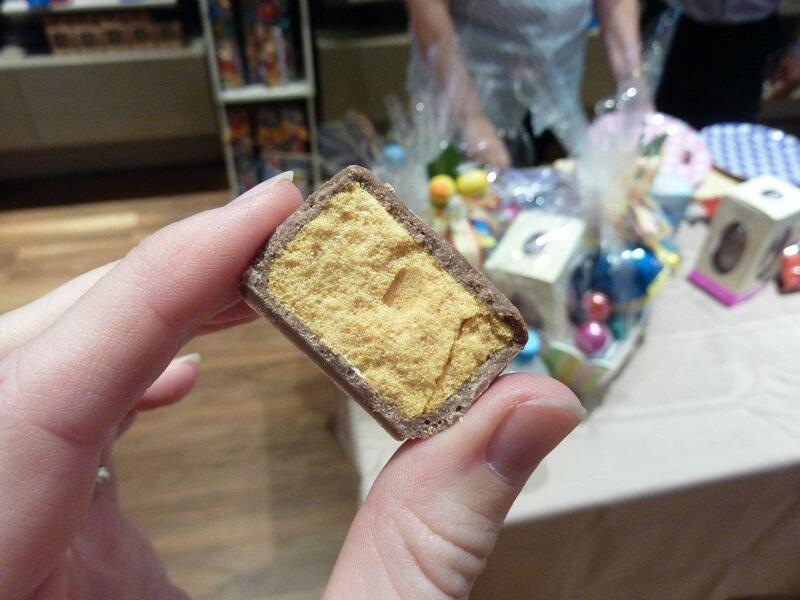 This was one of my favourites, the two chocolates together was just a creamy wonder. From here we turned our attention to some of the larger share bags they had available, starting with their chocolate coated Honeycomb. I had made honeycomb on the weekend and I now had a pretty high benchmark of what mine should have tasted like! And clearly after their many years in the business they now know that double dipping their honeycomb squares in chocolate was definitely the way to go. It was almost a big sad to know we were going to have to smash such a pretty Easter treat when it came to the Decorated Bunny and Duck. Another favourite that has been around for a while, the first thing I noticed when I saw the broken remains in front of us was how thick the chocolate was. And on tasting it, the quality is definitely there. Very, very creamy, with none of that greasiness you sometimes encounter with Easter chocolate. One of my favourites were up next – Bullets. Liquorice fans rejoice, these are just the such Moorish little wonders. And in Darrell Lea they have them available in milk, white or dark chocolate…. Oh the possibilities!! 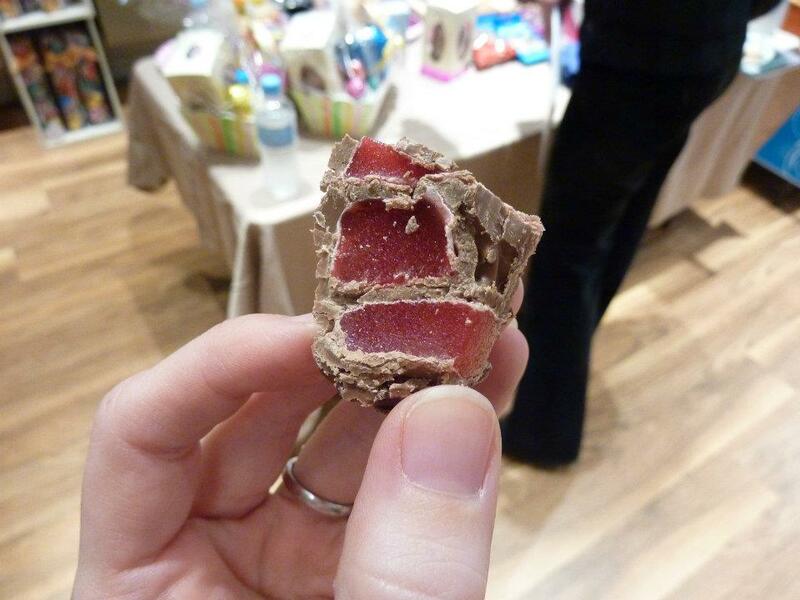 Back to Easter now and enter the Turkish Delight Half Egg. 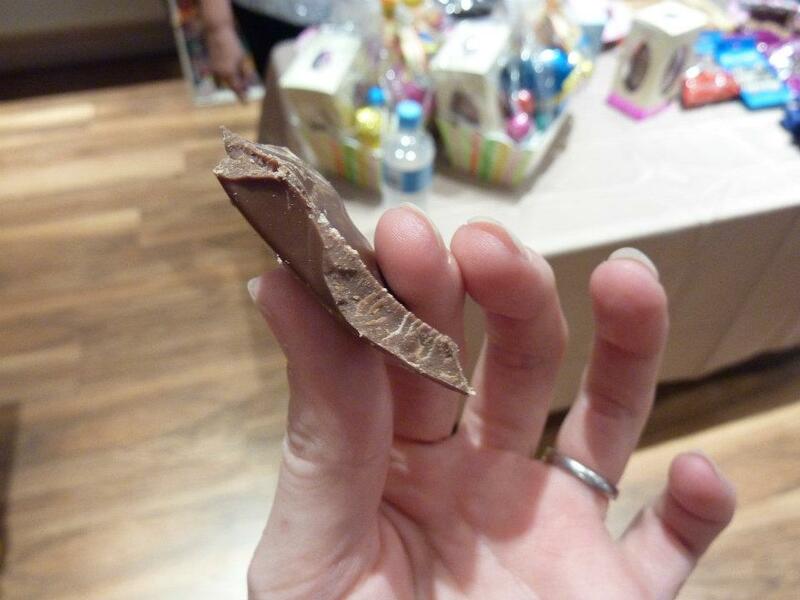 To see it all sliced up it was apparent just how much Turkish delight had gone into this egg. They definitely don’t scrimp! And the same can be said of the range of their other half eggs, they are just jam packed with their fillings of choice – whether that be liquorice, ginger, rocky road or honeycomb. Choc Walnut Roll came next and this was a nice dainty slice. I did enjoy this and it was a nice change with the darker chocolate, though I’ll admit I was slowing down by now. 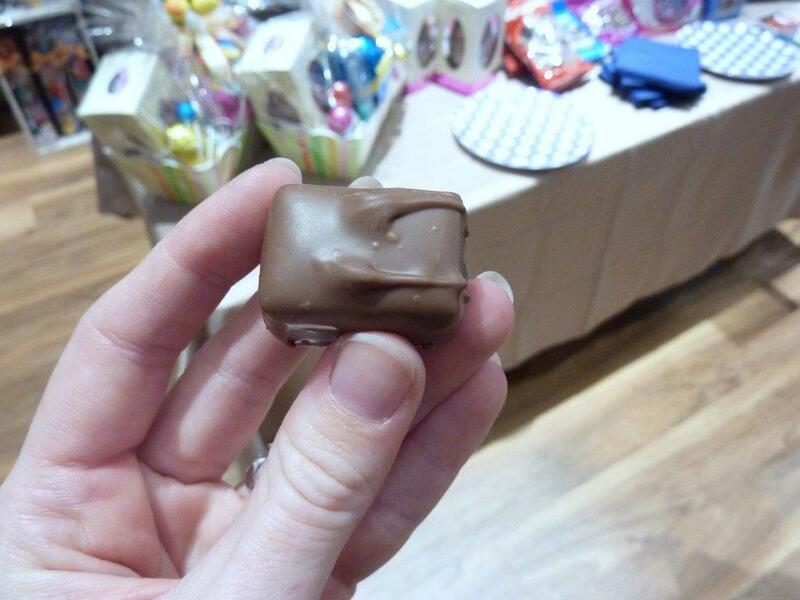 Possibly suffering from chocolate palate fatigue…. But they gave us some water and we pushed on. So close to completing the 10! 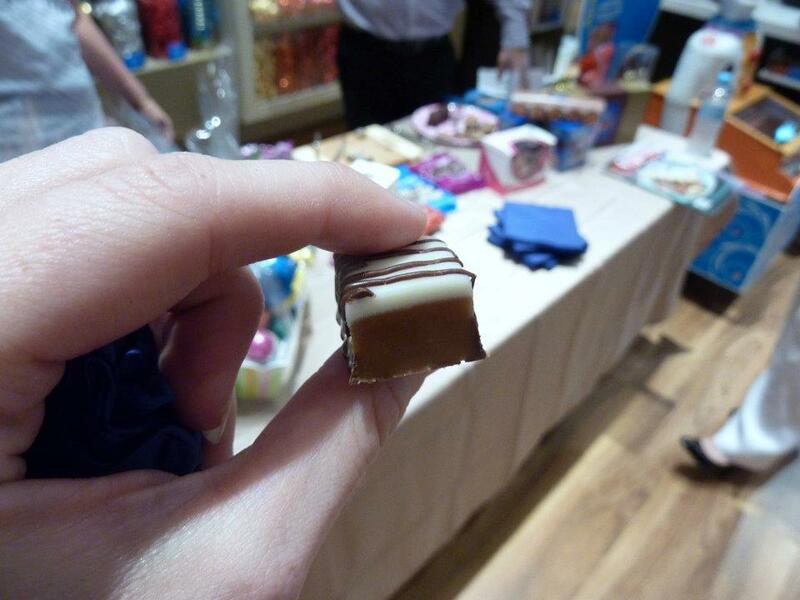 More Caramel goodness followed with the very pretty caramel slice – with its drizzle of both milk and white chocolate. Another decadent round. I must have been sugared up to the eyeballs by this point because I forgot to take a photo of number 10! This was one of their toffees, a harder style, in a dark chocolate. As Karen outlined for us they ahd a wide range available – you could get a mix of hard and soft toffees with a selection of them done in milk or dark…. Or all hard in dark…. Or soft in milk – pick you favourite! 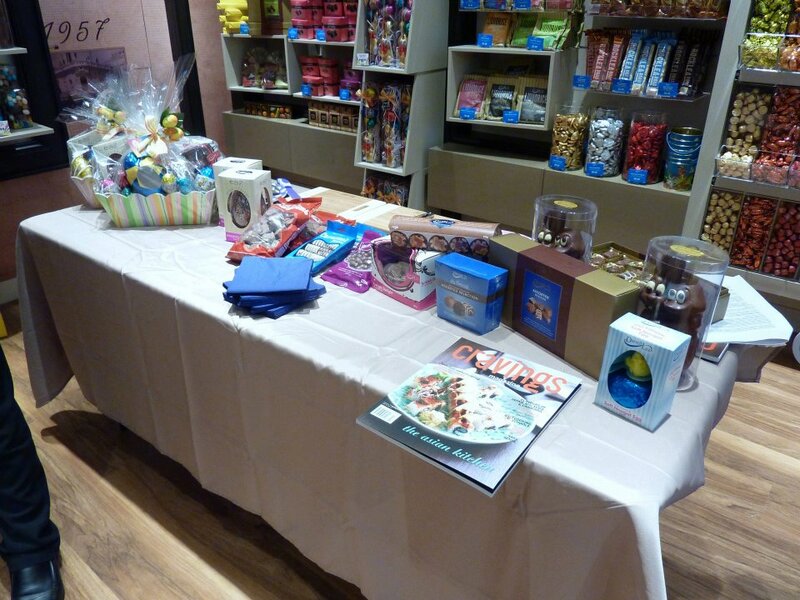 I was pretty impressed to have made it through the top 10 and was just about maxed out on chocolate at this stage, but for our final task we were given a chocolate egg each and told to eat it like we normally would. This was to assess our Easter egg profile. I folded the foil back over mine and proceeded to lean my hand down on it and smash it bits. 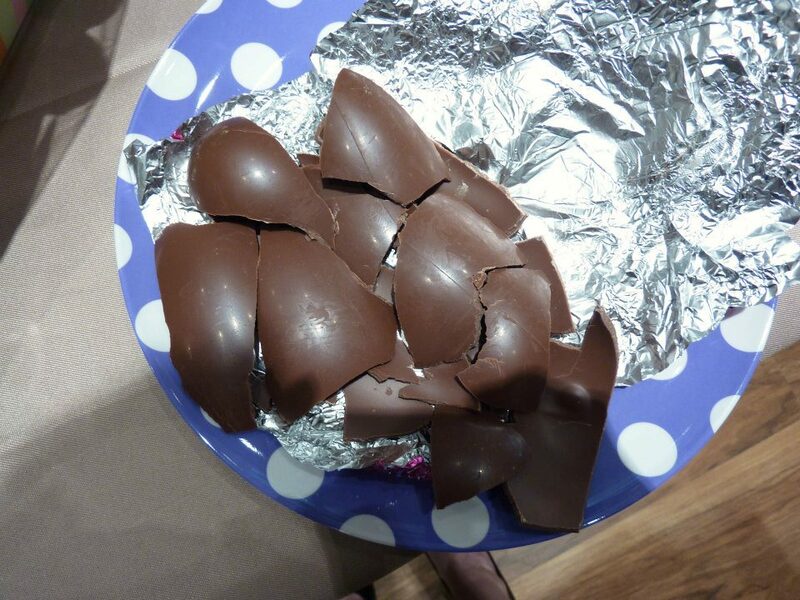 Thus, it came as no surprise to me when I was labelled a smasher : They had descriptions printed out for each of the different egg eating styles, it was fun…… we all questioned who among us would be an Easter egg donator? Definitely not my thing, I’m horrendously selfish when it comes to chocolate normally. I had such a lovely time and for the icing on the already incredibly chocolaty cake we were given a very impressive collection to take home with us! Wowsers – so incredibly generous and I felt very spoilt as I skipped back to my car. I was going to be very popular with my family and friends at Easter with this in tow 🙂 Now the challenge of making sure it makes it to Easter….. Many thanks to the team at Darrel Lea and PPR for your invitation to visit your beautiful new store. I’ve no doubt that with your impressive range of tasty treats that you’ll continue to do very well. 85 years and still going strong! Either head to this pretty new store or visit the website www.dlea.com.au to order online! I’ve just found this story and am feeling a little nostalgic. I’ve pinned this page to my pinterest page because I’m delighted to see all the work I did for the chain while they were still in operation….Many thanks for your photos. I had forgotten how much work I actually did for Darrell Lea back in the day….